Two unlicensed firearms and ammunition were seized from the deceased suspects. 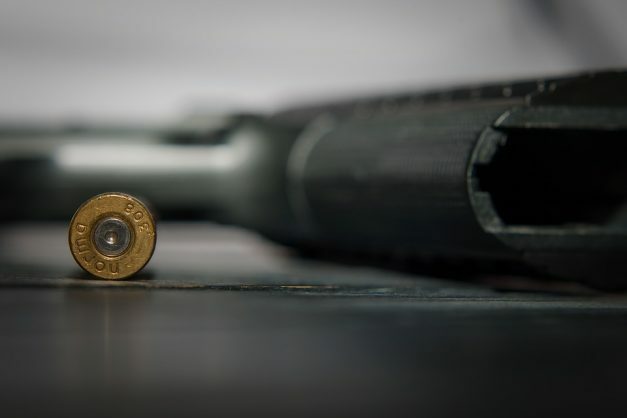 Two men believed to be involved in the robbery of a business in Ballito, KwaZulu-Natal, were killed after a shootout in Inanda in the early hours of Tuesday morning, Northglen News reports. The suspects were part of a five-man gang that allegedly robbed a jewellery store at Ballito Junction Mall a day before. According to Colonel Thembeka Mbhele, provincial police spokesperson, the suspects had robbed the shop of cash, wristwatches and jewellery before fleeing the crime scene in their getaway vehicle. No shots were fired during the incident and a case of armed robbery was registered at Umhlali SAPS for further investigation. “Police officers from the Provincial Task Team, Special Task Force and K9 Unit followed up on intelligence which led to a house at Piesang River in Inanda. As the police officers approached the house the suspects opened fire at them. Two suspects were fatally wounded during the exchange of gunfire. Two unlicensed firearms and ammunition were seized from the deceased suspects. “The investigation into the armed robbery at Ballito continues and attempts are underway to trace and arrest the remaining suspects involved in the incident. The firearms will be subjected to ballistic tests to establish if they were used in the commission of any crimes in the country,” she said.